NIXTOX Box vapor phase adsorbers are ideal for high-flow air purification applications that require a large activated carbon bed capacity. TIGG’s NIXTOX Activated Carbon Box Adsorbers are for high-flow application that require large quantities of carbon media. These activated carbon adsorbers with high air flow capacity are often used for MGP environmental remediation, as a back up to interruptions in thermal oxidizer operations and as emission control during industrial applications such as paint spray booths. The NIXTOX units’ maximum flows range from 8,000 to 20,000 cfm, while the carbon bed standard fills are between 6,000 lbs and 16,000 lbs. TIGG engineers designed the GAC adsorption vessels with large carbon bed surface areas that allow for greater flow rates, longer GAC media usage and expanded contact time. The NIXTOX series vapor phase air purifiers also feature a specially constructed plenum chamber, permitting even flow distribution. The vapor phase adsorption vessels also come with lifting lugs to make loading and offloading easier and safety rails to protect workers during media loading and changeout procedures. 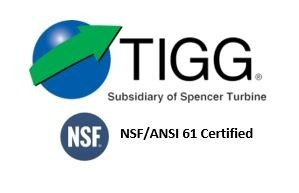 For more information about TIGG’s High Pressure Carbon Steel Adsorber, call 1-724-703-3020 or click here to contact us.